Weaves is a fantastic, noisy, and infectious rock band based in Toronto, Ontario. 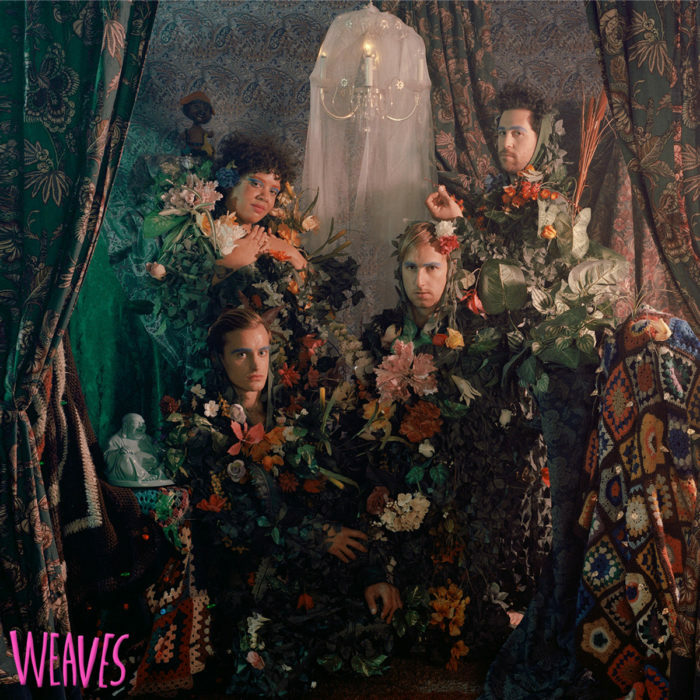 In 2016, Buzz Records released Weaves’ self-titled debut album and it went on to be regarded as one of the finest records to ever come out of Toronto and was recently shortlisted for Canada’s Polaris Music Prize. The other day I drove down to the Greater Good bar in Toronto to meet with singer and songwriter Jasmyn Burke, guitarist Morgan Waters, and drummer Spencer Cole to discuss their band and delve into their self-titled record with track-by-track commentary. You’ll hear snippets of each song as we go along. We also got into breaking news, as the band just announced that their follow-up record, Wide Open, will be out October 6, and so we talked about what the new album is like and also the first single, “#53,” which you can hear in its entirety on this show. Sponsored by Pizza Trokadero, the Bookshelf, Planet Bean Coffee, and Grandad’s Donuts. 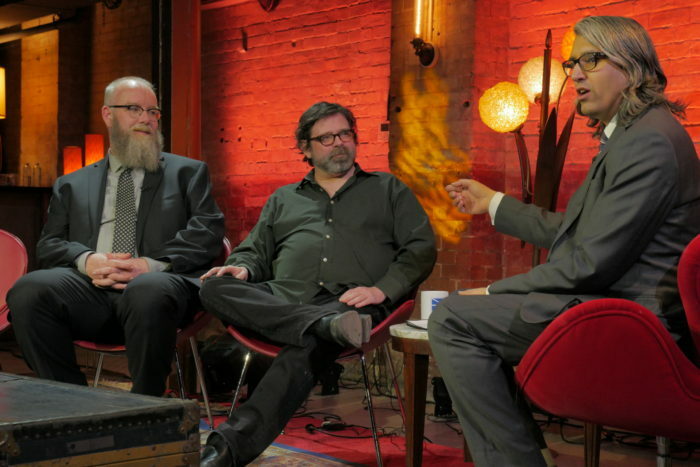 This episode of Long Night with Vish Khanna was recorded before a live studio audience at Longboat Hall in the Great Hall in Toronto, Ontario, as an actual TV show for FibeTV1. 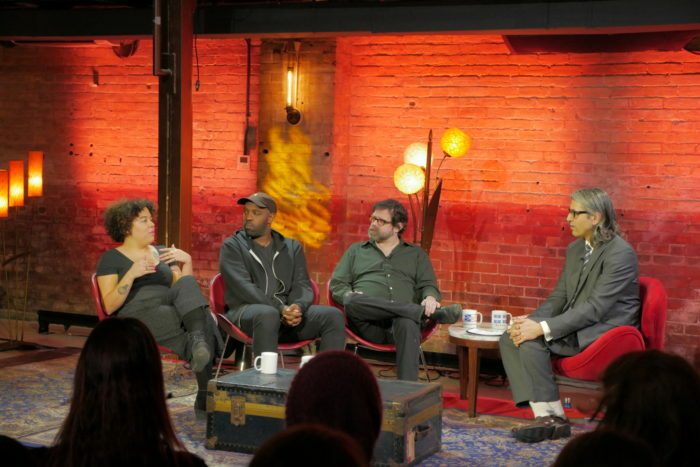 The central theme and discussion point of the program was “Is rock music dead?” and our guests were music writer Carl Wilson, hip-hop artist and Peabody Award-winning broadcaster Shad, and singer and songwriter Jasmyn Burke of the band Weaves. Produced by Ian Daffern, Vish Khanna, and FibeTV1. Photos by Colin Medley. With sidekick James Keast and our house band, the Bicycles. Sponsored by Long and McQuade, Long Winter, and Planet Bean Coffee. Watch the Long Night tv show on its YouTube channel.